PHAETON W12 LONG VERSION FAMILY CONCEPT by Thomas Diewald - "FRAMEWORKS"
With the announcement of Only The Fittest, I realised I would be away in Mossel Bay at the same time of the show. Being my first opportunity to attend an official CapeStance show, there was no way I was going to miss it. So show day came, 4 hour drive behind us and we were back in the Cape, heading into Paarden Eiland an industrial area back dropped by towers of shipping containers. The venue picked for the show was great, it had a real exclusivity feel to it as if the only way you knew about it was if you knew someone that knew someone. The cars on show were awesome, you can really see guys are trying hard to show their passion and love for the scene. It’s great that the guys that do it right are shown off and set above the rest because in a way they deserve it. 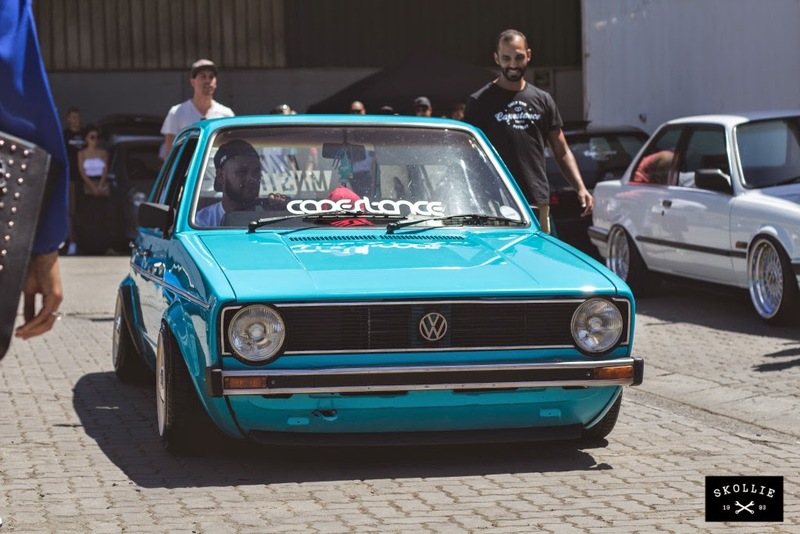 I think their cars are an inspiration, their hard work and dedication should drive you to have the same commitment to your car/project/build so that when the next show comes your car is in the line up. Slowly you can see guys are stepping out of their comfort zones and doing things different, creating there own take on something or just trying to mix it up to create variation and stand out from the rest. 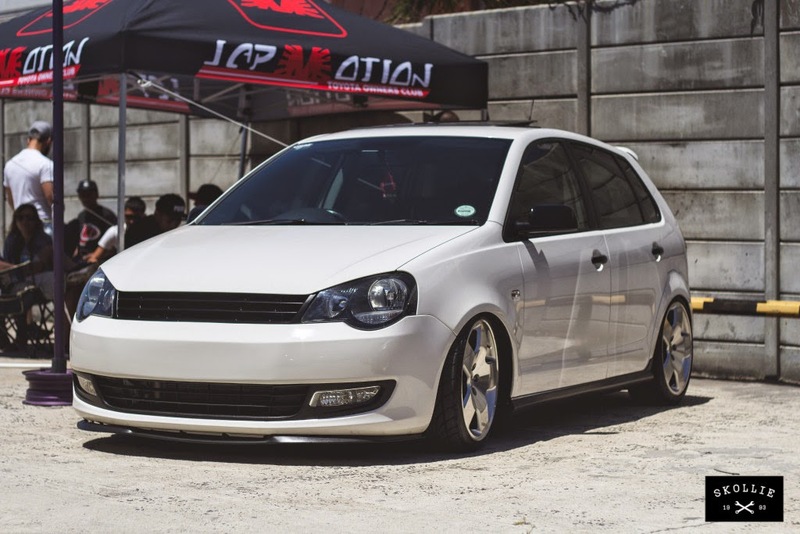 I could think of no better way to end off the year other than jamming a venue full with some of the fittest cars in the Cape. After going to these events I slowly learn how much the hosts of the events actually put in to give us these awesome days. 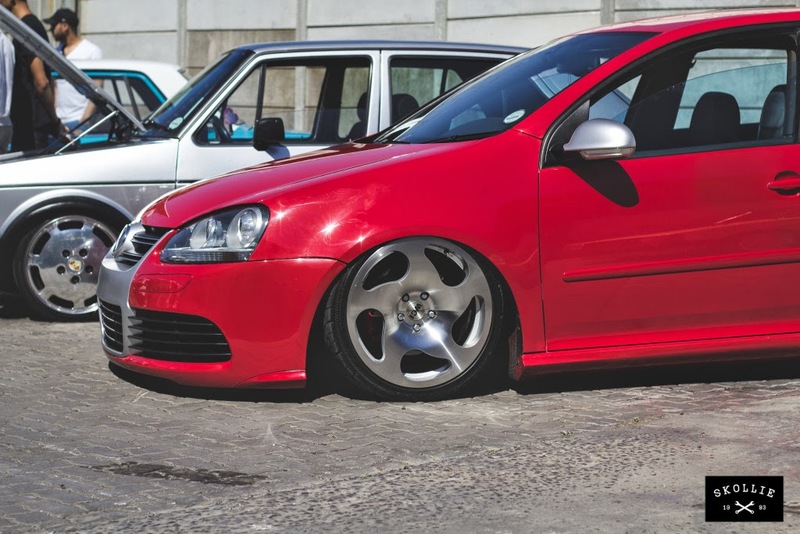 I really have to applaud the guys at CapeStance for their efforts, attention to detail and the dedication to growing the scene. I truly cannot wait to see what 2015 has in store for us, but like every year, I’m sure it will be killed. 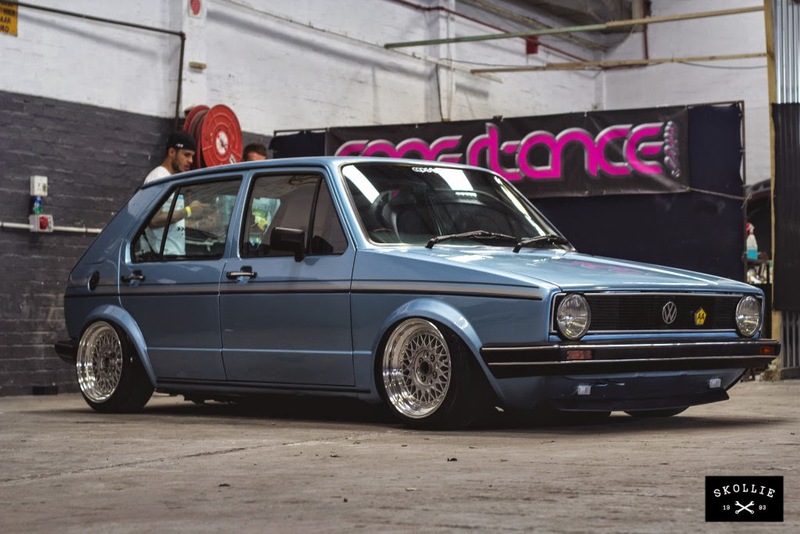 InMotionMedia hit Ultimate Dubs 2015… Here's our round up of the sump-scraping, slammed and stretched modified classic and modern car madness from the UK car scene. When you think about the Audi brand, there’s a lot to like. Perhaps you respect the brand’s pioneering use of AWD? Maybe it’s the stylish exteriors and interiors? Perhaps its the motorsport dominance? 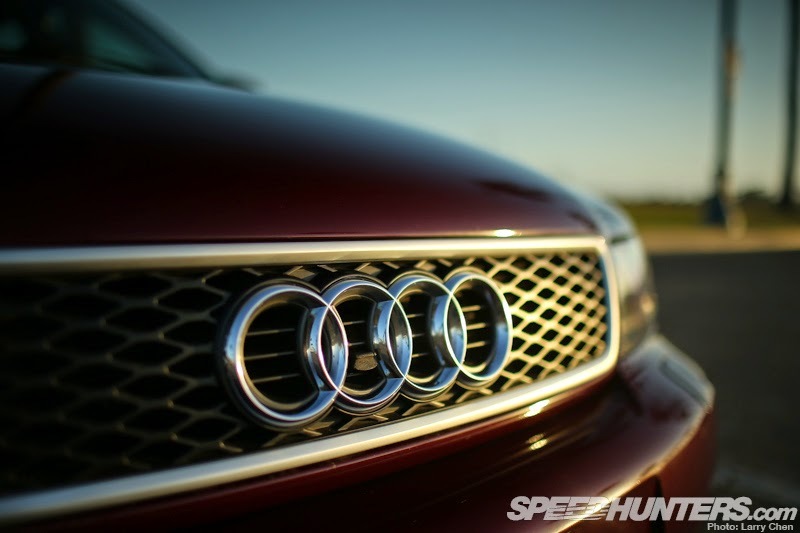 For these and any other number of reasons, Audi has absolutley taken the world by storm over the last couple of decades – moving from that obscure German car company with the AWD to one of the most prestigious automakers in the world. For me though, all that stuff is great but the one thing that I truly love about Audi is its devotion to the station wagon. Is that weird? Perhaps my excitement comes from the fact that here in America the once popular wagon has long been overtaken by the SUV in terms of popularity, but I just can’t get enough of the classic long roof. And when it comes to the wagon, few do it better than Audi. Not only has Audi produced some amazingly beautiful wagons over the years, but they’ve never been shy about equipping these estate cars with the best of their high performance goodies. In fact, in a few cases Audi chose to release their hot RS models only in wagon form. It’s something that goes all the way back to the famous RS2 Avant of the mid 1990s. In the following years, Audi continued to build more cars for wagon lovers to fantasize about – including the lust-worthy RS4 Avant. I guess it’s not really surprising that Audi never brought this car to the US, given the average American car buyer’s lack of interest in the good old station wagon. But that hasn’t stopped a few extremely dedicated individuals from doing everything they can to have an RS4 Avant in the United States – or at least the next best thing to it. That brings us to Mr. JJ Larson, the owner of the the magnificent looking “RSFaux” you see here. 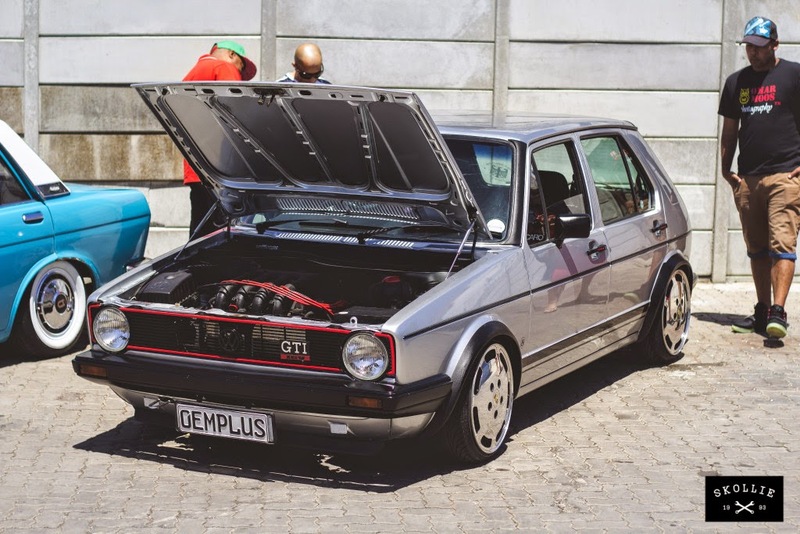 JJ has been a lifelong VW/Audi enthusiast and is the founder of the Dubkorps car enthusiast clothing brand, as well as AWOL.tv, an automotive-focused online video company. 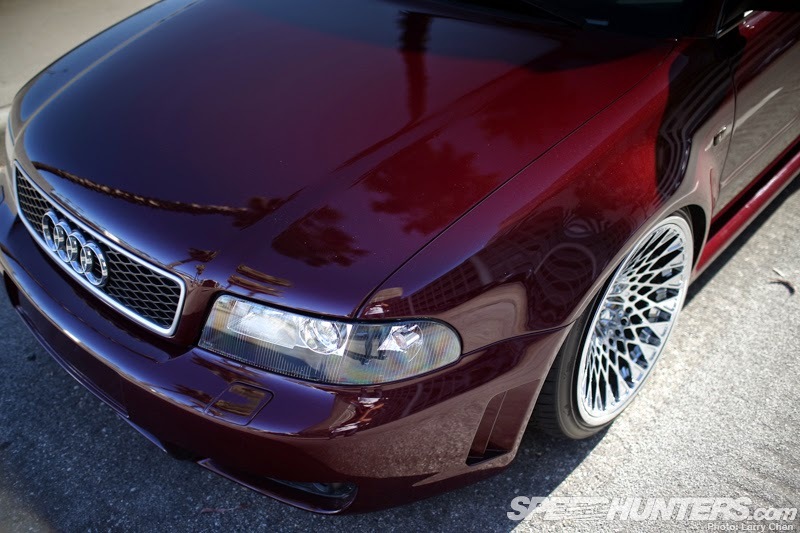 JJ had long dreamed of doing an RS4 conversion to an S4 Avant, and in 2005 he finally bit the bullet when he found a 2001 S4 Avant equipped with a six-speed manual transmission. Next began the process of converting the car’s exterior to RS4 spec. 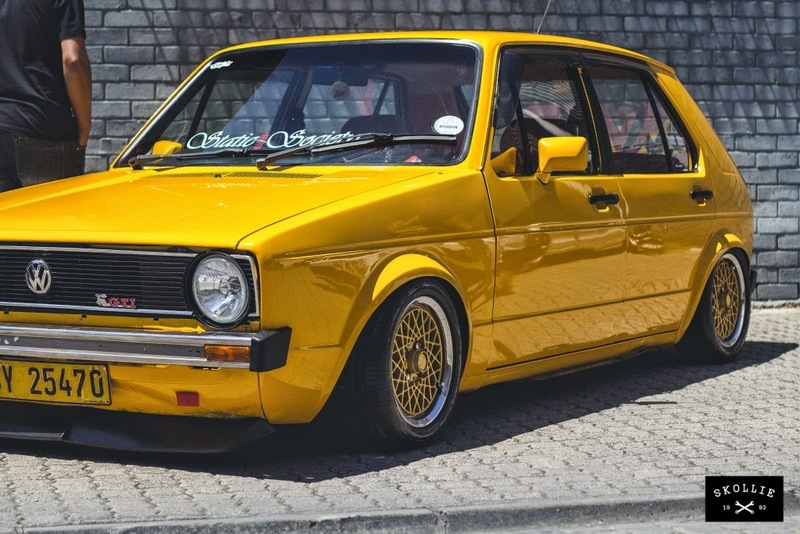 In order to complete the conversion, JJ had to source a number of factory RS4 parts from Germany, including front and rear bumpers, fenders and more. Once all the parts were professionally installed, the finished result was something that perfectly matched the wide stance and distinct look of the RS4 Avant. But doing the RS4 conversion was really just the beginning of JJ’s journey with the car. He wasn’t looking to drive something that just looked like a stock RS4, he wanted to make sure the car also had plenty of his own personal style. 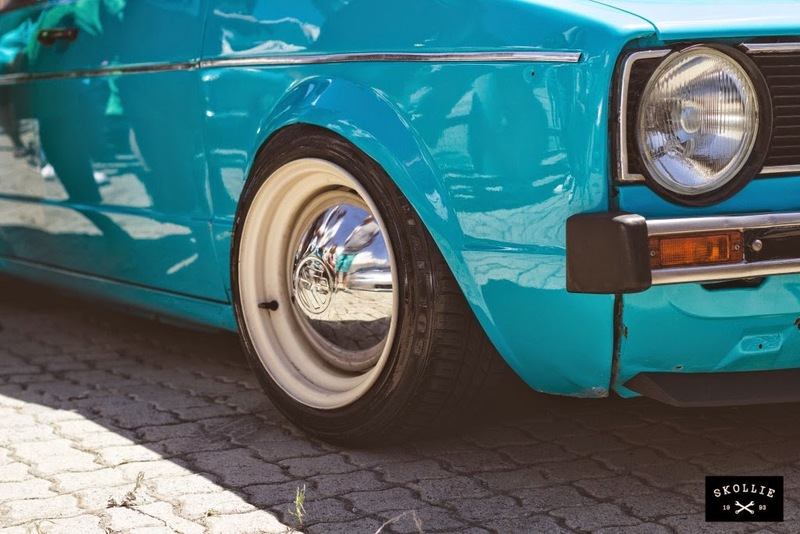 The car has actually been through several iterations since the original conversion, including white, olive green and flat black body colors with several different sets of custom wheels over the years. The current version though, may be the most impressive yet. First off there’s the color – which is an unusual but completely handsome Aston Martin Merlot Metallic. JJ says the color choice was actually inspired by a burgundy-colored Audi Fox that his father once owned. Next up is the stance. 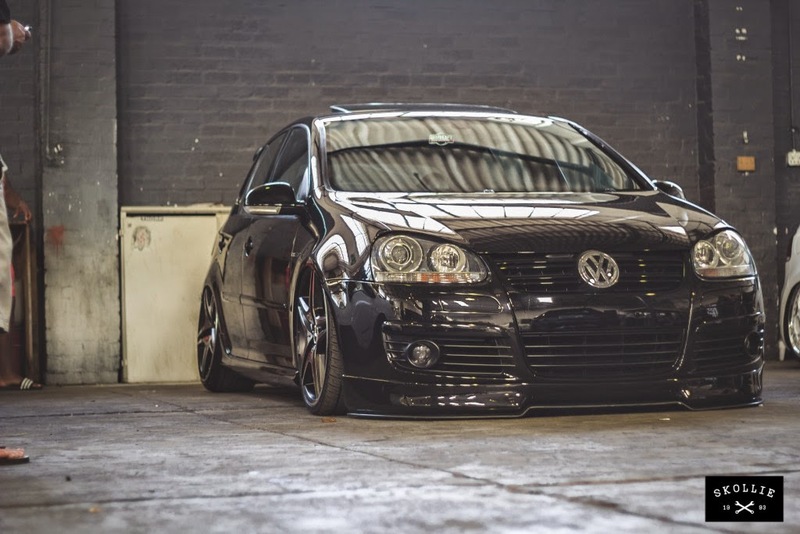 For a long time the car ran around on a traditional adjustable coilover setup, but after six years of use JJ made the jump to an Air Lift Performance kit. 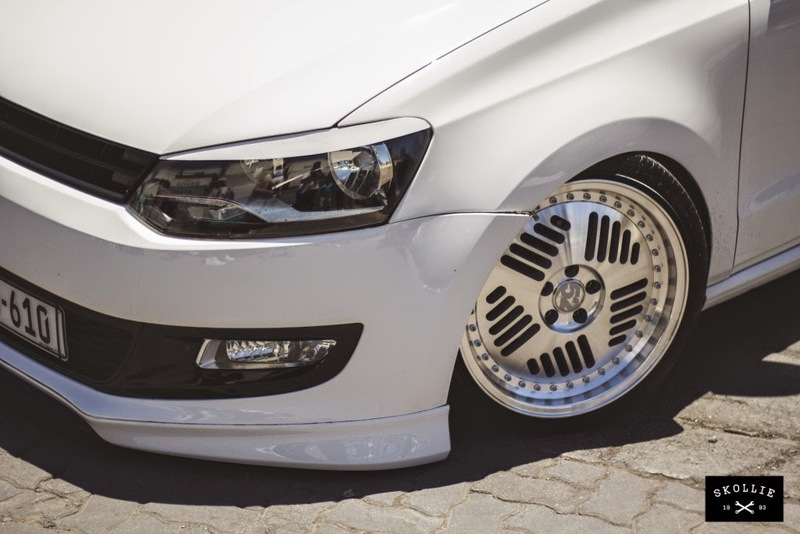 The bags have been on the car for two years now and JJ has really enjoyed their mix of instant height adjustment and very capable performance on the road. 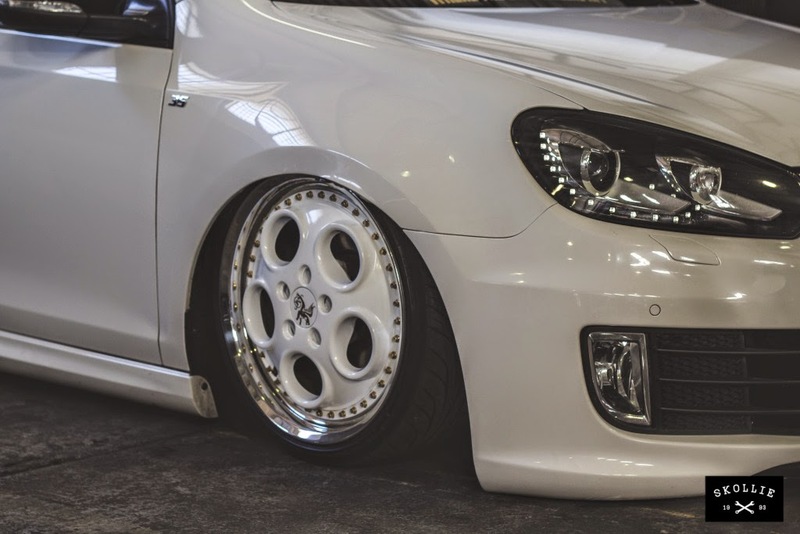 As mentioned a moment ago, the car has been through numerous sets of wheels – with a set of deeply concaved Rotiform LHR MonoLooks being the current set of choice. But knowing JJ, you should certainly not expect these wheels to be on the car forever. Who knows what he has up his sleeve when it comes to his next set of rollers? Of course it would be a shame to go through all the trouble of the RS4 conversion without also introducing the car to some newfound horsepower. 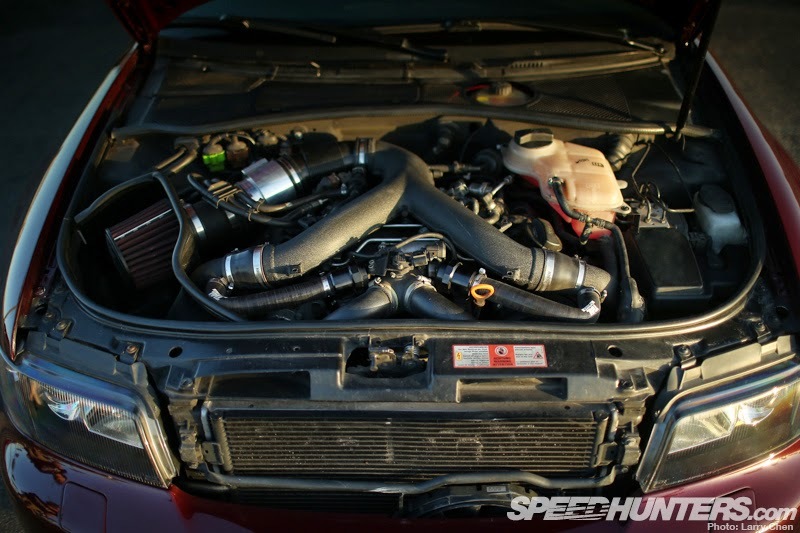 JJ equipped the S4’s bi-turbo V6 with a complete Tial 605 turbo upgrade kit, Evolution Racing intercoolers, and RS4 Y-pipe and a few other bits to get the already powerful car moving down the road with authority. With the current set-up dialed in with 25 pounds of boost, the car has put down an impressive 400 horsepower to the wheels – a perfect number considering the fact that the Audi sees daily use. Given the attention to detail JJ has put into the rest of the car, it’s only right that the interior follows suit. 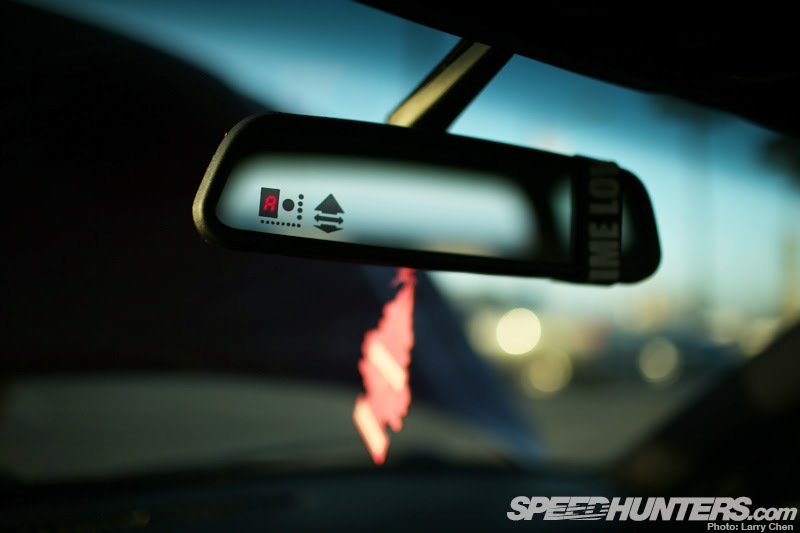 Although the car still serves as a comfy daily driver, there have been a number of additions to improve the look and functionality of the cockpit. 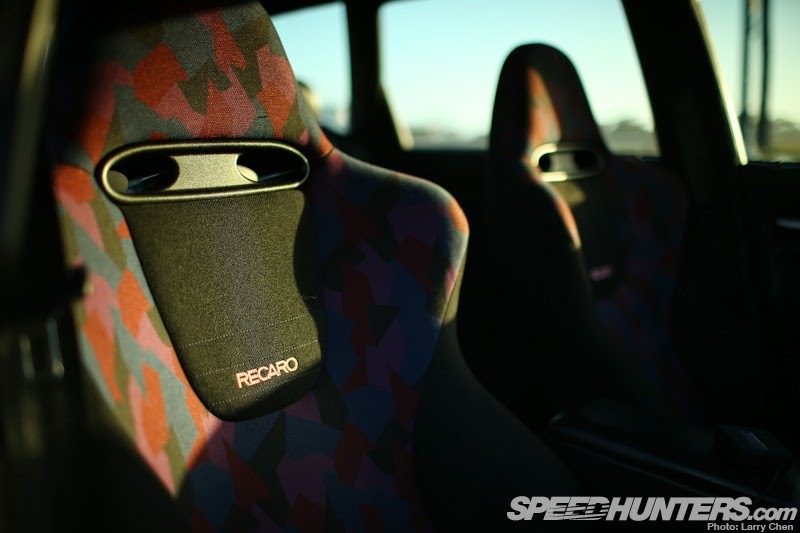 Including a pair of Recaro/Prodrive bucket seats done in a pure 1990s style confetti pattern. As strange as it may sound, the multi-colored seats actually look right at home in the Avant’s cockpit. 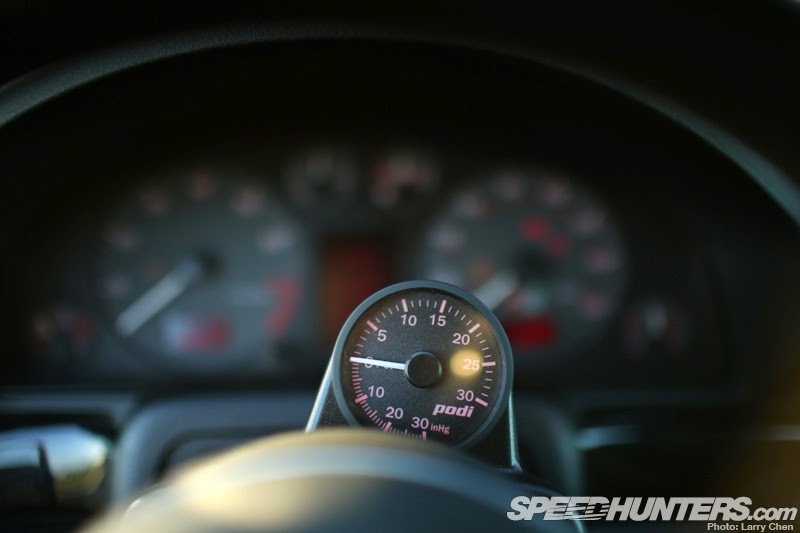 One of the first things JJ actually did after he got the car was install a smaller diameter flat bottom steering wheel from a Euro-spec B7 RS4. Again, another subtle detail that looks very factory in its execution. 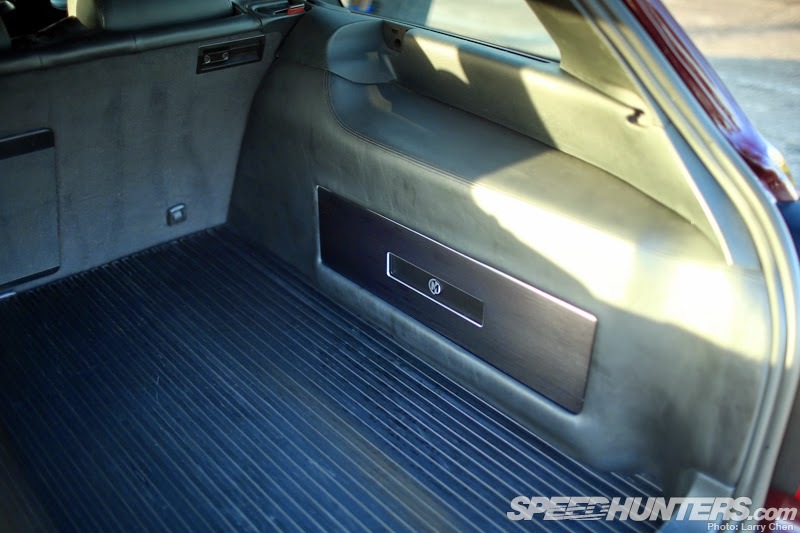 One thing that was very important to JJ was that the car’s audio and air suspension equipment not interfere with cargo space or make for a cluttered look. The air components are tucked away under panels, as is the audio equipment, thanks to the work of a shop called Lux Motorwerks. One of the most impressive things about the car is how much it gets used. Although JJ has shown the Audi at events all over the country, it’s anything but a show queen. 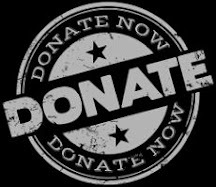 In fact, besides road tripping all over the place for events, the wagon’s cargo capacity gets used often for hauling boxes of Dubkorps clothing or video equipment for AWOL. In the end, it’s really hard to think of a better daily driver than the car that JJ had created with his RS4 Avant replica. It has everything you could ask for in an everyday car – neckbreaking style, serious performance, a stylish and comfy interior – and all the space you could ask for. Could this be the ultimate example of Audi’s storied line of bitchin’ station wagons? I’m going to say yes.